The Fall 2014 graduating class will be having their thesis exhibition at the Florida State University Museum of Fine Arts beginning November 21st and lasting through December 10th. 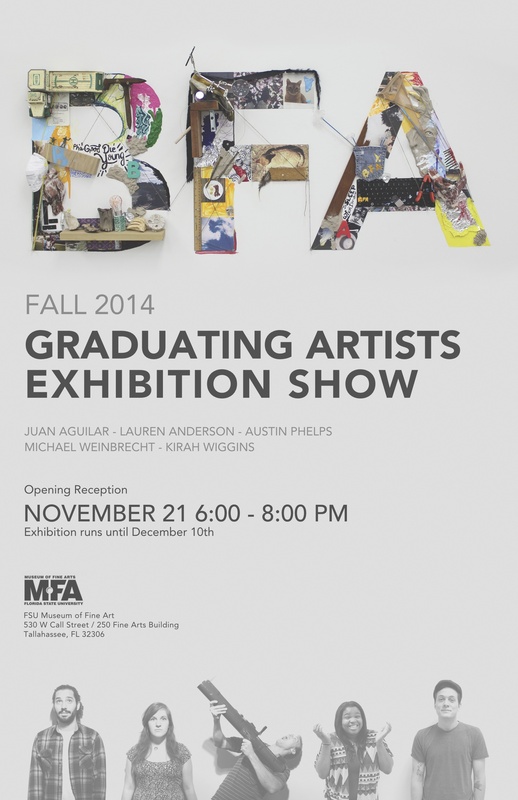 The opening reception will be held on November 21st from 6PM-8PM in MoFA. Museum hours: Mon – Fri 9:00am-4:00pm, Sat & Sun 1:00-4:00pm. MoFA will be closed November 27th – 30th for the Thanksgiving holiday. All museum events are FREE and open to the public!